We studied the social media fans and the number of posts that each of these brands had. None of the brands that had the most posts had the most fans. So, what we learned is that posting more often on social media doesn’t translate into more fans on social media. Let’s look at the data in more detail. 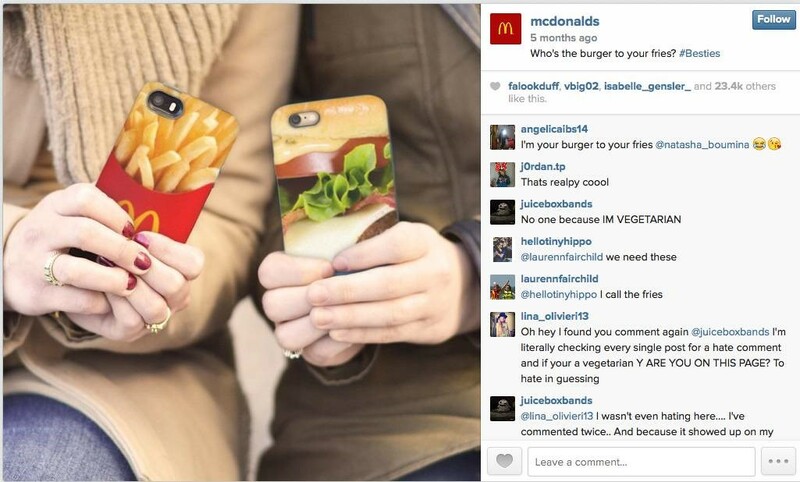 When we looked at data from Instagram for popular fast food restaurant chains, we came to the same conclusion. Just because you post more often on Instagram, you won’t get more followers. 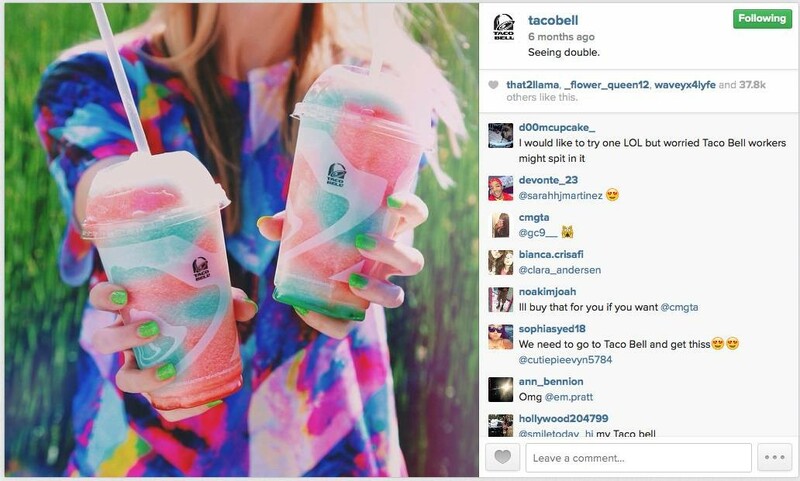 This Taco Bell post on Instagram had over 36,000 Likes during 2014, and a lot of comments. Even though there were a lot of comments, I’m not so sure Taco Bell is doing such a great job at moderating those comments on their posts. Another industry that we studied here at Clickable was the pre-owned car industry. We look at several major brands, including AutoTrader, Cars.com, CarMax, and Cars Direct. 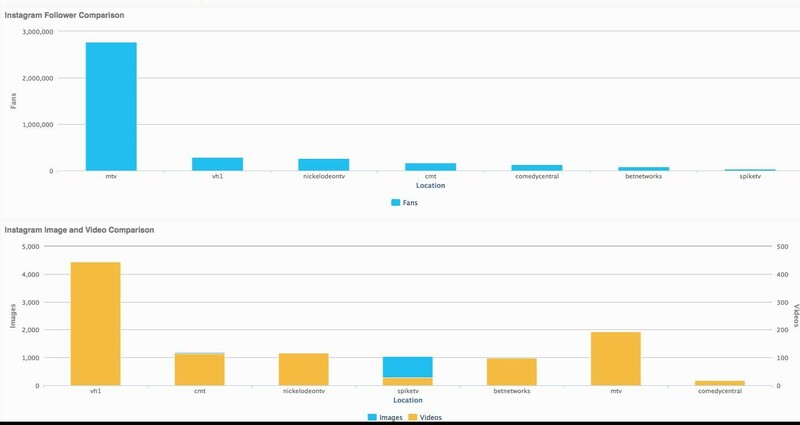 Very specifically, like the other industries during our analysis, we looked at the number of fans each brand had versus the number of posts that these brands generated during one year. AutoTrader, by far, has the most fans. Not only do they have a lot more fans, over 400,000 Facebook fans, AutoTrader has double any of their competitors: the others we studied had less than 200,000. But what about the posts? How often are these car brands posting? Well, both CarMax and Cars.com have almost double the number of posts that AutoTrader has, even though they have fewer than half the number of fans as AutoTrader. Perhaps, in this case, AutoTrader has more fans because most of their posts are from users, and are not simply posts by the admin (user posts are when a user responds to a post by the admin or makes a comment). Apparently this works very well in the pre-owned automotive industry. However, CarMax might not be doing something right: they have a lot more user engagement, yet they are third when it comes to actual fan base. Based on a manual review of a lot of the posts, many of these posts are from customers (such as from CarMax customers) and we’re seeing a lot that aren’t very favorable. So, when it comes to CarMax, they don’t have as many admin posts as some of the other brands. The posts they do have are mostly from users, and those tend to be negative comments. CarMax is responding to them, but it appears that these comments are typically off-topic to the actual post, and are just a “sounding” board. AutoTrader has a lot of posts from users (user engagement), and from what we can tell, their posts aren’t being used as a “sounding” board by their Facebook fans. Rather, there is a lot more positive engagement by their users, and the number of fans that they have on their Facebook page reflects this. What we learned, was that user engagement, posts by users on a brand’s Facebook page, appears to have a high correlation to the number of fans that the brand has on Facebook. For example, by far, Coca-Cola has more user engagement based on Clickable data. And even though Pepsi has a lot more posts by the admin on their Facebook page, the number of posts by users and admins on the Coca-Cola page is higher than the number of Pepsi admin posts. Coca-Cola has almost 3 times the number of Facebook fans as Pepsi. So, user engagement appears to be key. We saw the biggest difference between Facebook fans and Facebook posts for Kraft Foods. Kraft Foods posts recipes and tips on their Facebook page. During the period of time we studied, they had a huge number of posts. More than Coca-Cola, more than Pepsi. Yet they have a very small number of Facebook fans in comparison. Based on the data we’re seeing, all that content generation: all that time posting recipes and tips is not paying off when it comes to building a Facebook fan base. We took a look at the Facebook fan base and posts of several major television networks. Specifically, we looked at Instagram followers versus the posts. Looking at the television networks owned by Viacom, we can easily see that yet again, posting a lot on Instagram won’t necessarily get you a lot of followers. During the period of time we tracked activity, MTV had less than 2,000 videos posted to Instagram. Yet they, by far, have more followers on Instagram. VH1 posted over double the number of videos–yet they have fewer followers than Nickelodeon, which has more followers. 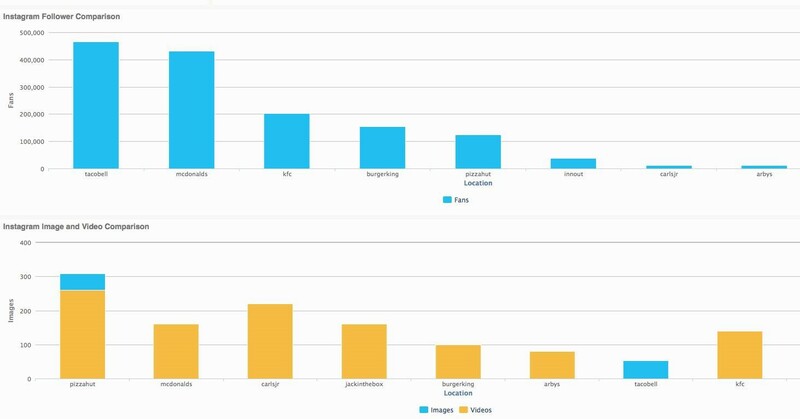 When it comes to videos versus images posted on Instagram, most posts are video posts from these networks–only Spike TV had posted more images than videos. We also examined social media data from consumer brands, including Nestle, Colgate, Unilever, Estee Lauder, GE, Clorox, and Johnson & Johnson. What we learned is that Nestle, by far, has a lot more Facebook fans than the other brands, nearly triple the number of fans. In the consumer brands, however, we noticed that there is a much higher amount of user engagement. In some cases, the amount of user engagement is much higher than even the number of admin posts that have been posted from the brand. For example, there are more user posts (comments) on Colgate and Unilever’s pages, and we don’t see this level of engagement in any of the other industry segments that we tracked. 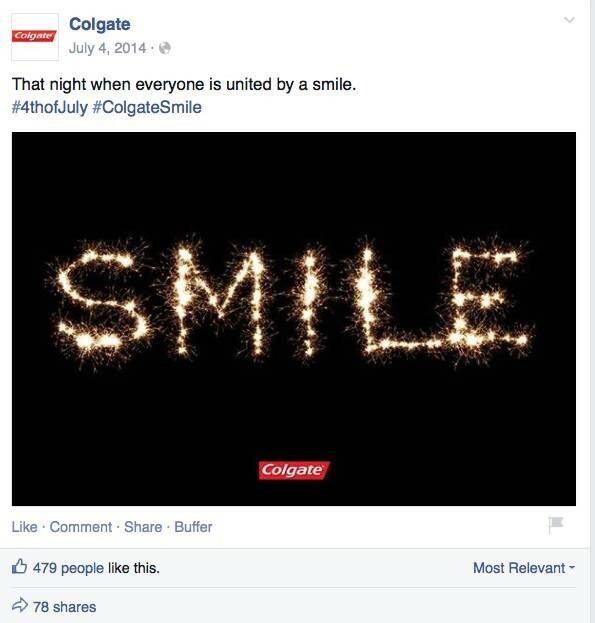 Colgate has slightly more engagement on their Facebook posts, which helped them edge out Unilever for the number of Facebook fans. 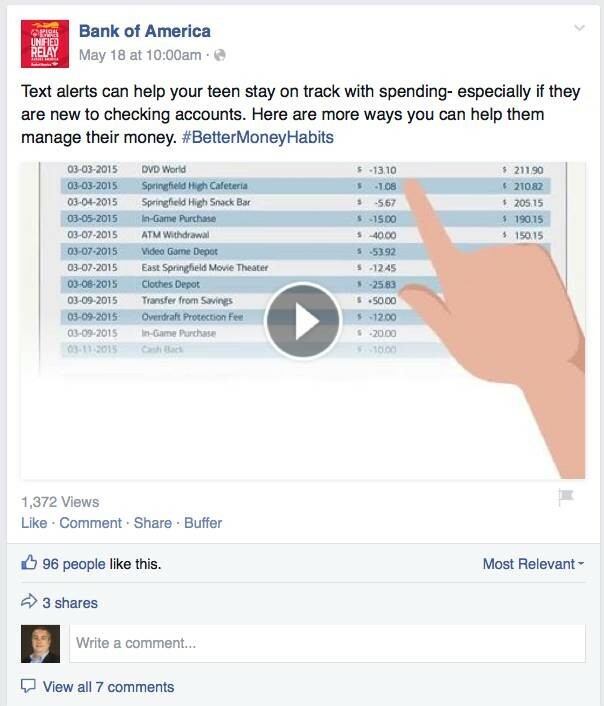 When it comes to banking, the last thing many of us tend to think of is being a Facebook fan. While millions of Americans have bank accounts, there’s not a strong correlation between the number of bank accounts an institution has and the number of social media followers (or Facebook fans) that bank has. HSBC North American Holdings, Inc. 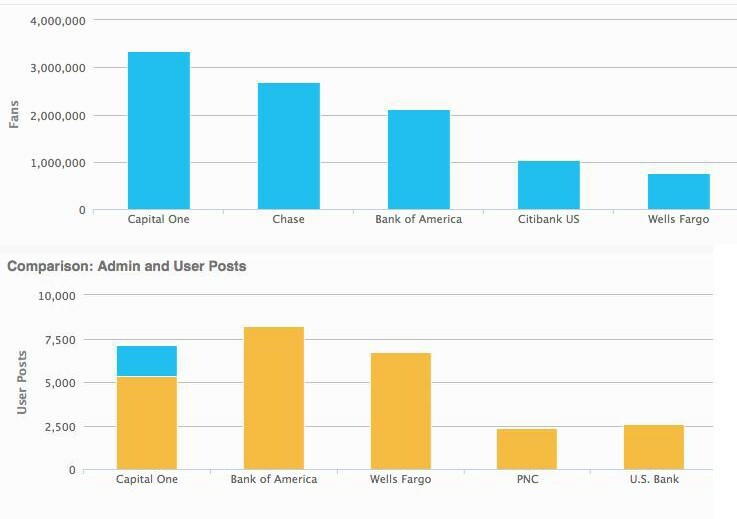 When it comes to Facebook fans, the largest bank doesn’t have the most fans. While Chase is the largest bank, it’s number 2 when it comes to number of Facebook fans. 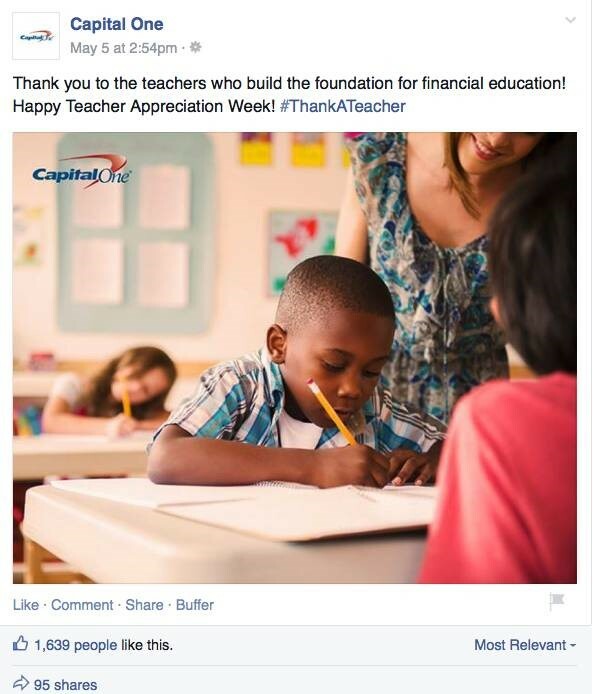 Capital One, the bank with the most Facebook fans, is the eighth largest bank in America. For consumer brands: When it comes to Facebook or Instagram, posting more often on these platforms doesn’t necessarily mean an uptick in fans. A great picture that creatively ties in with the brand and a memorable hashtag are key to posts generating a lot of comments and engagement. Care must be taken that user posts are calibrated for their sentiment, and responded to quickly if they trend towards the negative.